We’ve also got some real activity in the garden beds. 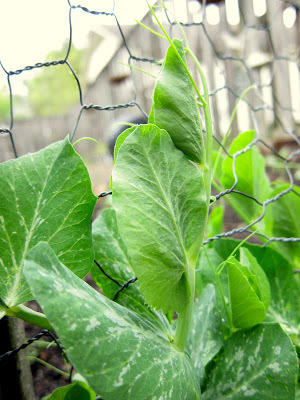 The Sugar Snap Peas are starting to climb. 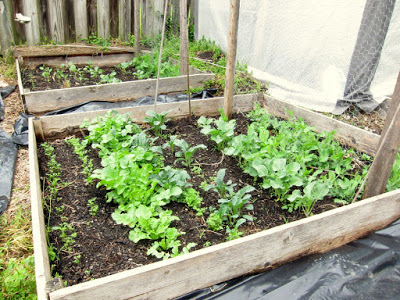 The lettuces, carrots, radishes, broccoli, etc. are all starting to really turn into recognizeable plants! Can’t wait to harvest a few things. We did pluck the first asparagus shoot the other night when we were enjoying time outside. We all enjoyed a piece of it, it’s SO much different when you eat it straight from the garden, now if we only had enough to add it to a meal! 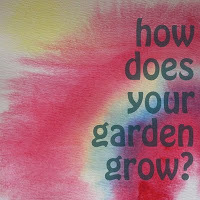 Don’t forget to link up if you have a garden post–we’d love to see it! Check out our new garden post. Everything looks so lush and beautiful! Asparagus from the garden is wonderful – we share ours too, there is never enough! That. Was. So. Cool. Thanks for letting us in to take a look around! here is the link to a post about our greenhouse!